Looking for the best dish soap for dry skin? Well, this article covers all the details on the best dry skin dish soaps. There are many dish soaps of pretty good quality available in the market but if you have dry skin then you must not go for the regular dish soaps out there. There are some special dish soaps formulated for dry skin including a moisturizer in its constituents. You need not search and ask for the dish soaps because we have already listed the best dish soaps for dry skin below. Palmolive is a brand that is already well known for hand washing liquid soaps and face washes, so it is safe to say that they know what the skin needs. Keeping that in mind, Palmolive has come up with a dish soap that does the job without being too harsh on your sensitive hands. 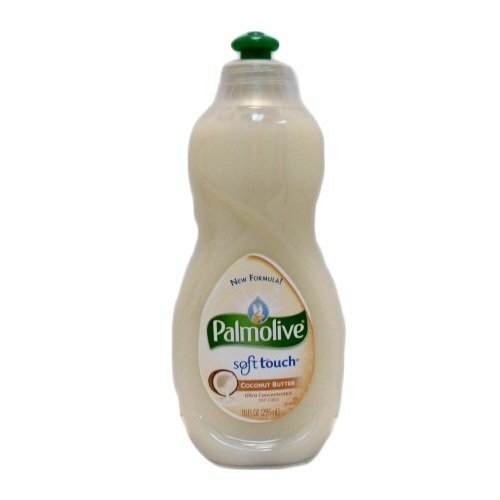 Palmolive soft touch coconut butter is an ideal option, as the name suggests, one of the active ingredients are coconut butter which is a natural moisturizer and will ensure that your hands get the best care as they work. Obviously, you must be wondering how something so gentle on the skin could remove the grease and grime from your dishes, but worry not. The dish soap creates a good amount of lather to fight away the grease, and is also suitable for dry or sensitive skin. William Sanoma is another company that offers a range of luxury dish soaps with really interesting scents, so it’s a double yes for you. Having said that, it is a little on the pricey end, but with the luxurious packaging and scents, I think it is worth a buy. William Sonoma Spiced Chestnut Dish Soap with Essential Oils is a great option, and the essential oils really help to keep your skin in order, although to be brutally honest you may need to work a little longer with this to remove all the grease. Again a name we all recognize, and I am sure something by Olay is present on everyone’s dresser drawer. It is a brand many trusts because it has always been good to our skin. Dawn Ultra Hand Renewal Dishwashing Liquid with Olay Beauty Pomegranate Splash Scent comes in your traditional dish soap packaging and nothing too fancy, but it does promise pomegranate scent and it does deliver on that. This guarantees to drive that grease away with a couple of swipes and also take care of your hands, not to mention how perfectly priced it is. Definitely a go to as far as best dish soaps are concerned. If luxury is the way you want to go, then this is your best option. 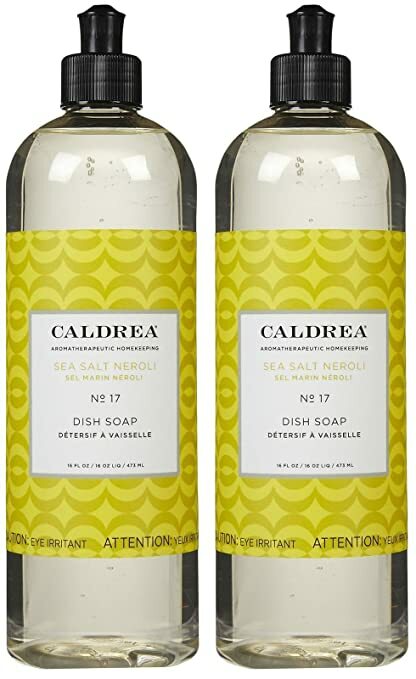 Caldrea offers the most sublime and elegant packaging along with the product that can actually be titled the best dish soap without second thoughts. Caldrea Sea Salt Neroli smells amazing and doesn’t make you feel like you’re doing the dirty work, even though you are. All you need to consider for this one is if you have enough dollars to spend, if yes, then go for it. Now, this isn’t exactly considered the soap for sensitive skin, what I mean is that isn’t how it is marketed. But let me tell you that a very tiny amount of this goes a long way. That is exactly how it is beneficial for your skin. The less soap you use the better, and this gets the grease out quicker than most soaps in the market, definitely worth a shot. Your Hands Beats Dish Washer! A dishwasher is a great innovation for washing your everyday dishes, but it lacks the kind of thoroughness that you can achieve by washing dishes using your hands. Imagine a cutlery item that is unbearably greasy, now that is something a dishwasher may not be able to deal with completely. This is when you need to get your hands dirty, quite literally, but how bad are regular dishwashing soaps for your hands? Disastrous, that’s what. Dish soaps are designed to get the grease out of your dishes and plates, but that same formula can also strip your hands of moisture. What part of your body do you use the most? Your hands of course. From greeting people to taking care of yourself to taking care of those who are dependent on you, children etc. How can you be expected to take care of stuff with your hands if you forget to take care of your hands? Taking good care of your entire body is important, but it is especially necessary to make sure your hands get that special treatment. Especially since hands are the most sensitive, you need to go that extra mile. The first step you can take in doing that is to invest in a dishwashing soap that goes easy on your skin and makes sure your skin stays moisturized. But you have to make sure you get something that truly does what it says, so I can help you choose by giving you a good variety of the best dishwashing soaps in the market. Even if you use the best dishwashing soap for your dishes and hands, you have to go the extra mile to ensure healthy hands. Just think about how particular you are about taking care of your face; well our hands are just as sensitive and just as visible. There are a few simple steps you can follow to avoid dry and overly aged hands. First of all, when you wash dishes, your hands come into direct contact with the water (which is usually too hot to help wash the dishes quicker), and soap, both things which can be detrimental for your sensitive skin. An easy way to avoid this is to use a moisturizing hand lotion or Vaseline to create a barrier between the skin and the harsh chemicals in the soap. This will prove extremely helpful, just apply a little before you start washing. And don’t forget to clean your hands properly and apply a good layer of moisturizer afterward too, this will save your hands from a lot of unnecessary damage. Finding The Best Dish Soap For You! The reason that it is so hard to find the best dish soap is that you need it to be gentle enough for the sake of your hands, and also strong enough to be able to remove all filth and dirt from the cutlery. That is quite a balance that needs to be stricken. It is not an easy job, but it can be done. Keep reading for the best dish soaps. Leaving you with the good advice to always prioritize your health, and taking care of your body in an efficient manner is a major part of it. Also if you think you are a person who can get crafty and would like to go organic for a change, you can always learn to make your own best dish soap at home, with a couple of simple ingredients.